Dimensions: 623mm (W) x 667mm (D) x 838mm (H) – 991 mm (H) with adjustable legs; castors available. Running a business and want your life made simpler for a change? 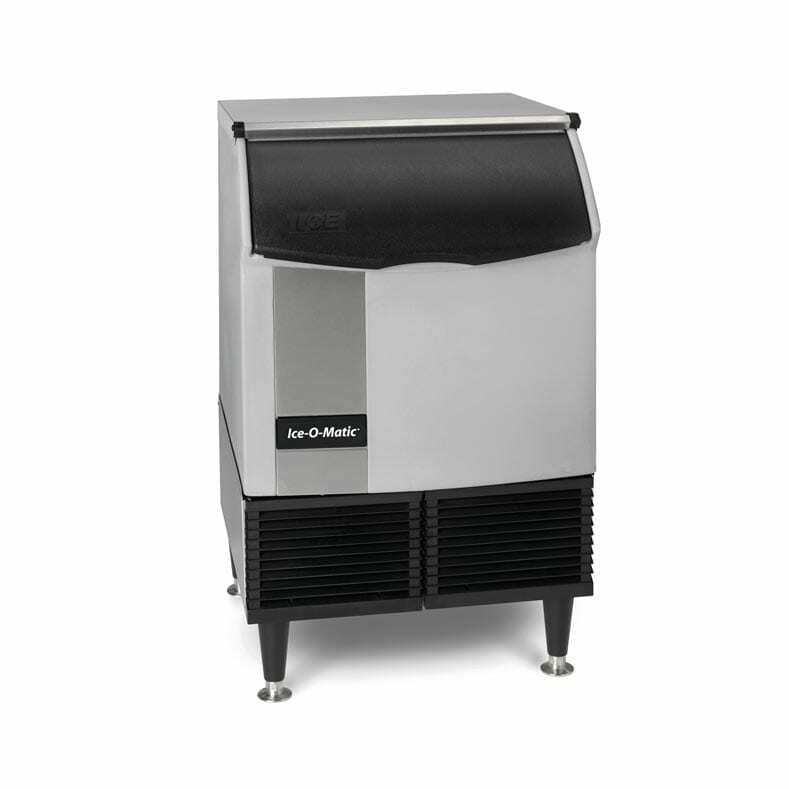 Then we’ve got a cool (pun entirely intended) turnkey solution for you: the Ice-O-Matic ICEU225. This model will meet the requirements of small to medium-sized restaurants, clubs, pubs and cafes. With a production capacity of 96kg of full or half-dice ice per day, it can store up to 32kg at any one time in its built-in storage bin. 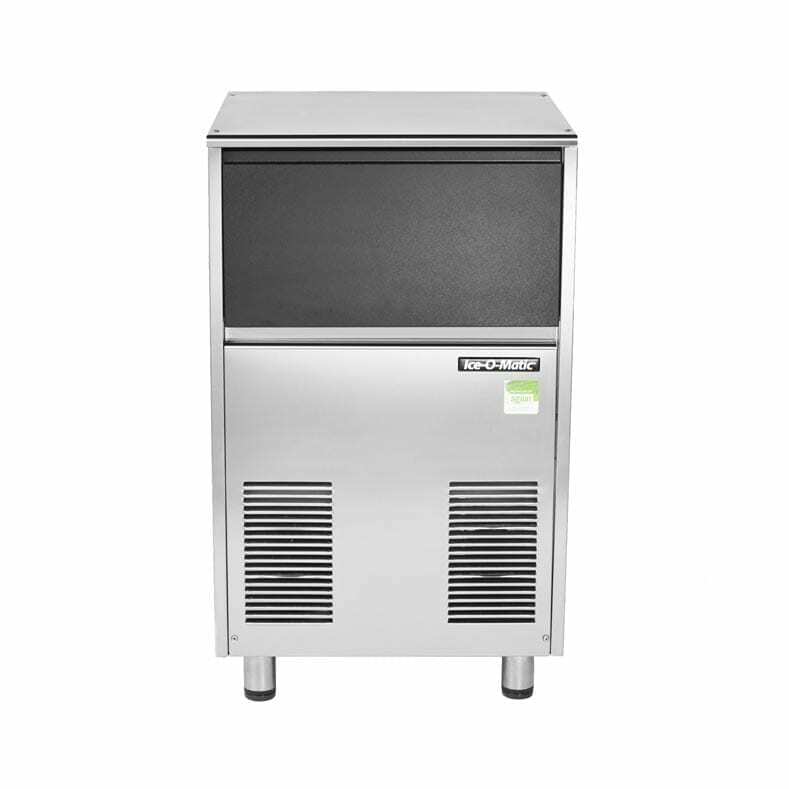 Durable stainless steel on the inside, a durable stainless steel finish and industrial-grade fingerprint proof moulding on the outside, featuring a contoured slide away door up top: this unit is made to last for years to come and to look good throughout. Air inflow and output is managed entirely from the front louvres so that your ice maker can safely fit in tight spaces, without negatively affecting its performance. Its Harvest Assist and Pure Ice features ensure consistent production, increase capacity and fight bacteria growth on ice maker surfaces for the life of the machine. You’ll be stocked with this one! Want something a tad smaller? 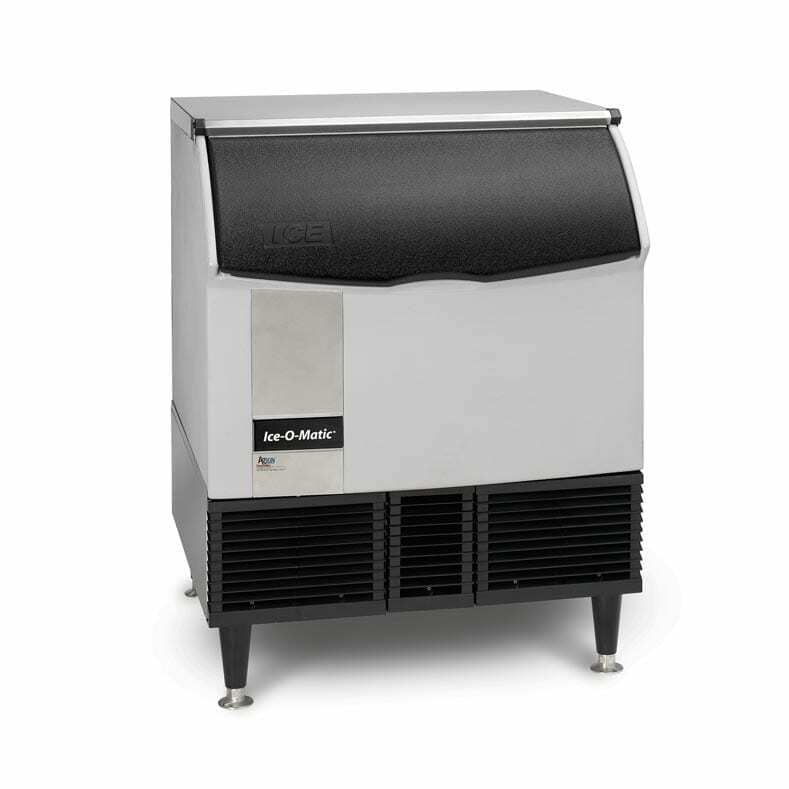 The Ice-O-Matic ICEU146 could be it—you can check it out here. Not sure if 96kg is gonna cut it? Try the Ice-O-Matic ICEU305 on for size instead. This machine is great for: Perfect for restaurants, clubs, pubs and cafes. Half cube is suitable for blending – smoothies or juices. A: The warranty is 3 years on parts and labour, 5 years on evaporator and compressor (parts only).